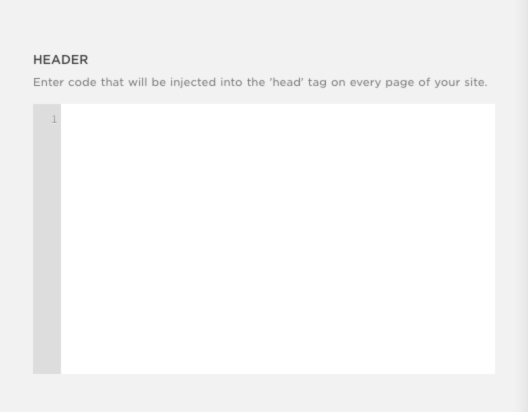 In order to reach the Squarespace "Code Injection" section simply click Settings, click Advanced, and then click Code Injection. Take a look at the image below for a visual guide. Make sure to click Save after pasting Bablic's code into the Header box. 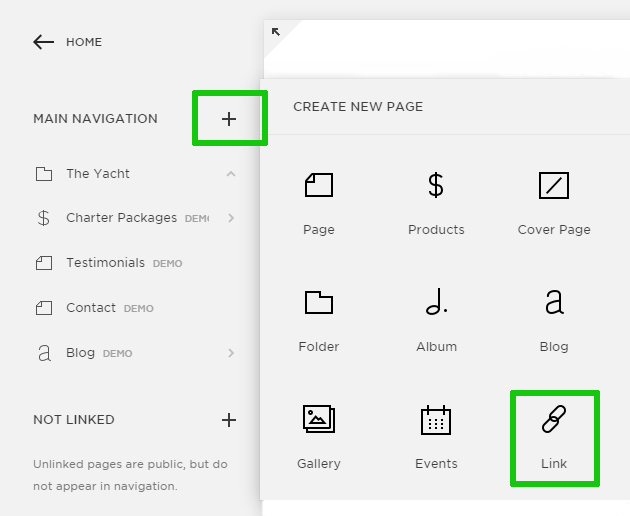 If you'd like, you can also add links to your navigation (menu) in order to switch languages like in the example below, here's how. 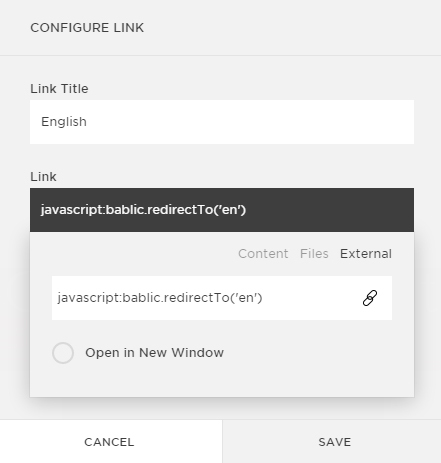 Once the "Configure link" window appears, in the Link Title field enter the name of the language you are adding. Next, click on where it says "Click to add URL..."
***Remember to edit the "en" to the 2-letter language code for the language you are adding. For example if you're adding French, change "en" to "fr".